Home > Tree Care Tips Blog > What Can a Local Arborist Do For You? What Can a Local Arborist Do For You? Trees are a beautiful, elegant addition to any property. They provide shade and create a refined ambiance in outdoor spaces, both residential and commercial. However, trees need special care and maintenance to ensure they remain solid, strong, and healthy. Consulting a local arborist can help you ensure your trees stay well-maintained. Tree removal: This includes removal of unwanted branches and stumps as well as removal of large trees that may be compromised or unstable. 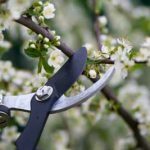 Pruning Services: The terms pruning and tree trimming are often used interchangeably, but they are slightly different. Tree trimming focuses on aesthetically trimming branches while pruning focuses on the tree’s health. Pruning trees is an important way to manage their growth and is an essential part of long-term tree care. Tree Restoration: Before removing an unhealthy tree, it is a good idea to see if it can be restored to health. A local arborist can inspect your tree to see how to restore its vitality. These are just a few of the services a local arborist can provide for your home in the Lake Norman area. At Top Notch Tree Service, we are pleased to provide a free estimate of the cost to maintain, restore, or remove trees on your property. Please contact us if you have questions about our local arborist services.